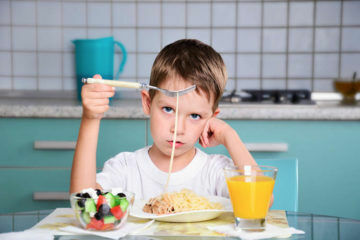 Playing with food is one way in which children can experience new foods, textures and sensory experiences without the stress of having to eat the actual food. 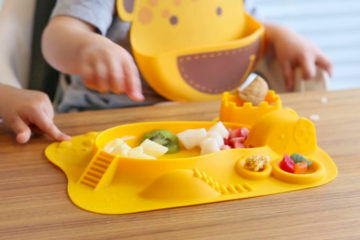 It gives them the exposure and opportunity to learn more about the food and also build trust with it and the person who is preparing and giving the food to the child. 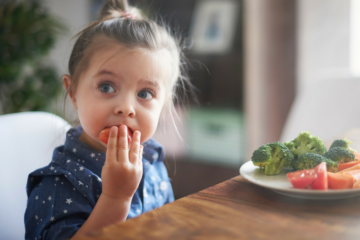 Mum’s Grapevine expert nutritionist, Mandy Dos Santas has five ways to let toddlers play with their food, to help with their development. 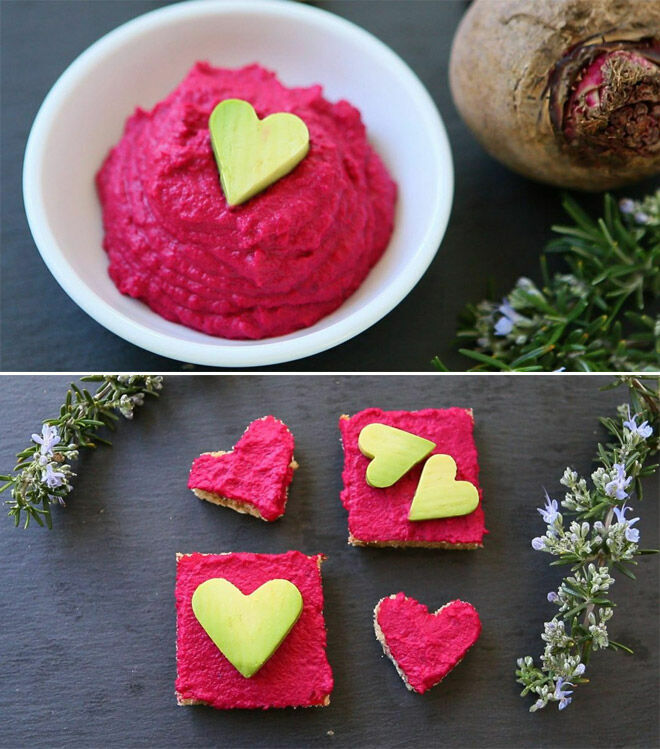 What you do: Let the kids paint the bread/wrap with their veggies sticks and get messy while touching, exploring and licking the dips and the veggies. They can then make a little sandwich to wrap to eat for themselves if the like the flavour. 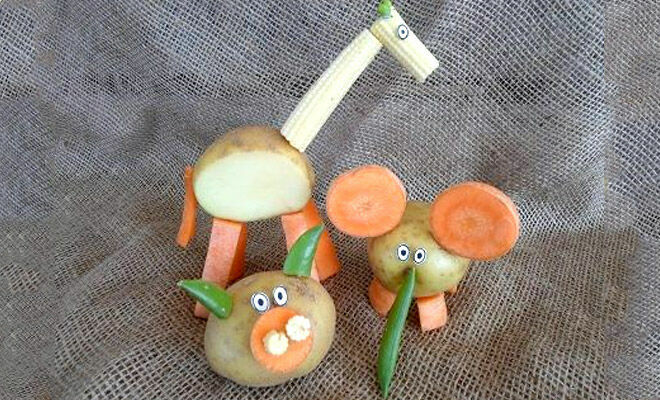 What you do: Let the kids connect the vegetables together using the sticks to create a creature from out of space or perhaps abstract sculpture or animals. The smell and experience of warm, soft or even crunchy cooked vegetables are quite different to raw and fresh vegetables. 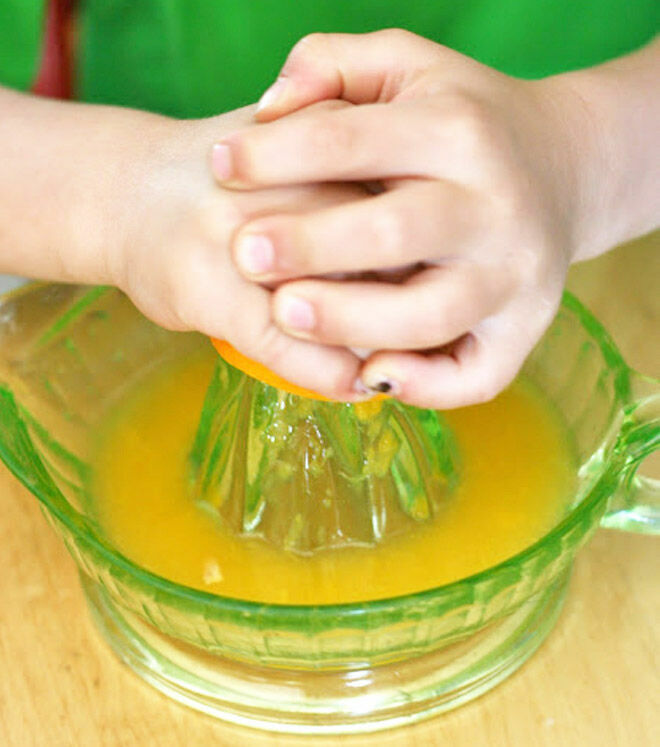 What you do: Let the kids squeeze the oranges by hand using literally only their hands or a hand squeezer. Let the juice run down their hands and their arms and let them lick it clean or just feel sticky and cold. The sensation of liquid all over their hand and arms can be quite overwhelming but also delicious. Let them get the pips out of the juice and drain the pith if they like, but also let them eat that part too. 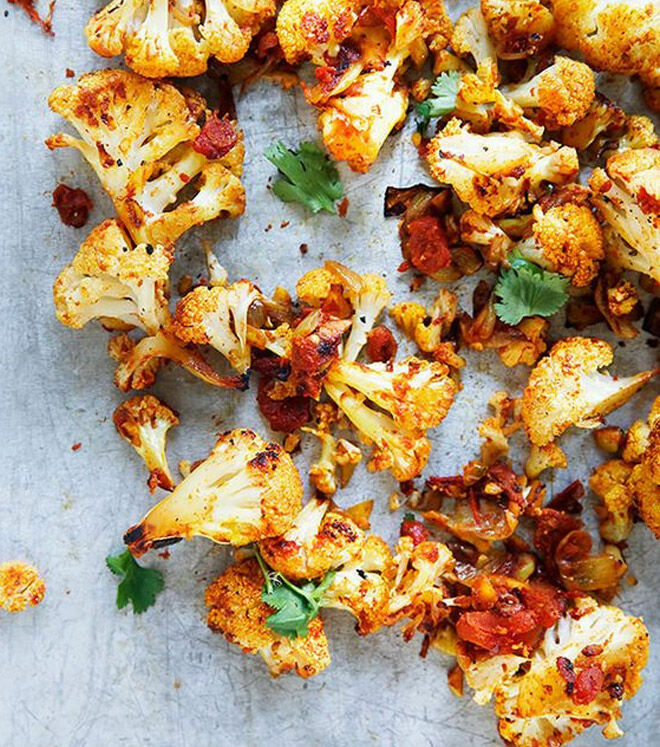 What you do: Roast off the florets of cauliflower in some olive oil and then once slightly cool, let the kids roll it in some spice mixes to create different flavours. 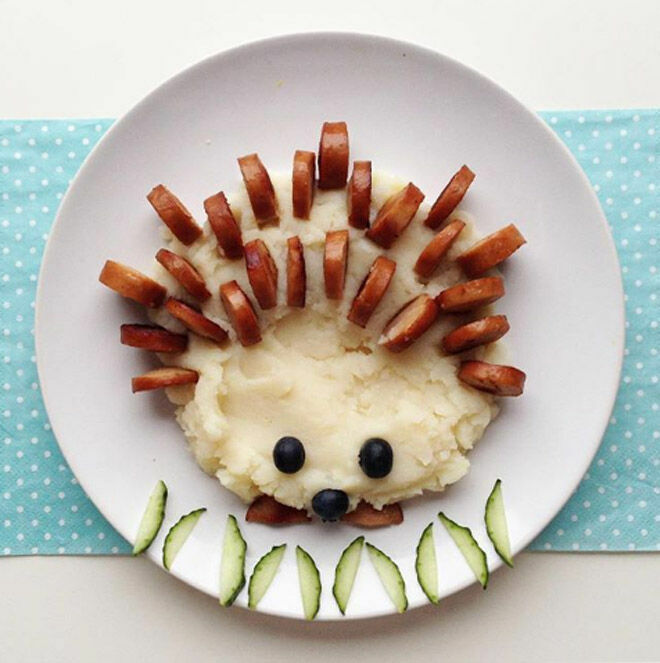 What you do: Using the mashed potato as a base, prop up sausage slices to make a food hedgehog. 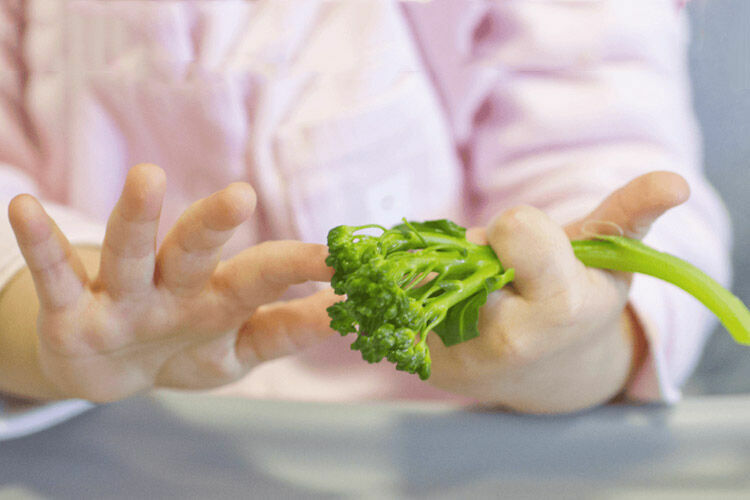 You could even add other veggies like broccoli to make a forest. Dip, touch, press and taste. 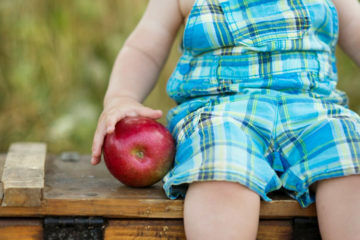 Let the kids eat and lick and smoosh the different textures in their fingers. 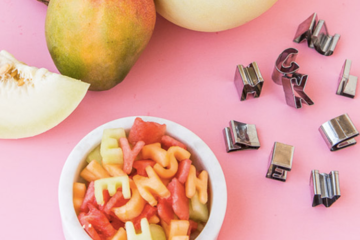 Get some inspiration from the amazing Creative F 4 You. 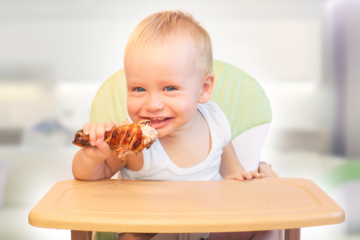 Make sure you read about the three reasons why babies should play with their food.